ECU is a provider of credit cards, home loans, car loans, personal loans, debit cards (transaction accounts), home insurance, car insurance, travel insurance, and business banking products. If you’re considering an ECU credit card, then check out what’s available for low rate cards in our comparison table below, based on a monthly spend of $5,000. ECU Australia has one credit card on offer at the time of writing: the ECU Low Rate Visa credit card. If you meet the eligibility criteria above, then the preliminary application process is extremely straightforward. 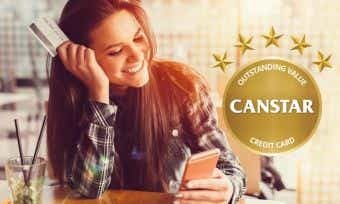 You can apply by comparing credit cards on the Canstar website and applying on ECU’s website for the card of your choice. You can also apply by visiting a branch and talking to a member of the ECU team, or by calling them on 1800 383 791 to go through the application process over the phone. How do I activate my ECU credit card? Your ECU credit card must be activated before you can use it to make purchases. You can call ECU on 1800 383 791 between business hours to enquire further. Can I manage my ECU credit card online? Yes, you can manage your ECU credit card through ECU’s eTeller internet banking site. You will be given login details when applying for a card. You can also download and use the ECU mobile banking app on most smartphone devices (Android, Apple, and more). You can use the mobile banking app or online banking to display transaction details, view your balance, request a change in your credit limit, and more. How is interest calculated on my ECU credit card? Interest is charged on purchases when you carry a balance on your ECU credit card. Interest is charged on cash advances from the date of withdrawal. On ECU’s visa credit card, interest is calculated daily and charged monthly on purchases. Up to 55 interest-free days apply to ECU credit card purchases if you have paid the balance in full for the previous month’s statement and for the current month’s statement. For more information about interest-free days, check out our article on how they work. What will my credit limit be on my ECU credit card? Your credit limit for an ECU credit card will be determined based on the information you provide in your application, keeping in mind the minimum credit limit on the card (see above). You can apply to have this increased or decreased, and ECU can approve or reject this request at their discretion based on their lending criteria. Find out more about how credit limits are determined here. How do I close my ECU credit card account? To cancel your ECU credit card and close the account, you can contact ECU by either calling them on 1800 383 791 or by emailing them on info@ecu.com.au. Once your card is cancelled, you will still need to repay your card balance in full, and you will continue to receive monthly statements until you do so. If you are cancelling your credit card because of financial troubles, contact the financial hardship team to identify possible solutions. ECU stands for the electricity industry’s credit union, and it was founded in 1973 when employees of the Cairns Regional Electricity Board formed the C.R.E.B. Credit Union. Initially consisting of volunteer employees, the credit union employed full-time staff from 1976 on. It has grown significantly since then, and rebranded as ECU Australia in 1997. ECU say they stand for easier and fairer banking, and for them, this means providing its members with better value banking and straightforward financial advice. As a credit union, ECU is owned by members. Any Australian resident can become a member of ECU. Like ECU on Facebook to stay in touch with their latest products and promotions.